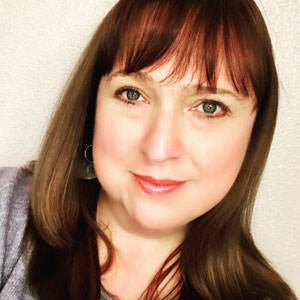 Amy Jiménez Márquez is the UX manager of the Alexa Personality Experience Design team at Amazon in Seattle, WA. She’s also one of the publishers of Boxes and Arrows, an online publication devoted to the practice, innovation, and discussion of design. She’s been a UX professional since the late 1990s, working in both corporate and freelance settings. With a Master’s degree in Directing, Amy has also been performing improvisational comedy for over 20 years, and enjoys applying improv collaboration techniques to her daily work. Amy has been a member of this event’s community for several years. She has volunteered on the conference’s social media team since 2013, she spoke at the 2015 IA Summit, hosted several first-timer dinners, has met some wonderful friends through Karaoke Night and Acoustic Jam Night, and showed her true colors playing Skull on Game Night. She’s honored to be able to give back to a community that has been so supportive. For IAC19, Amy is leading the website, content, marketing, and social media teams.